For many Aboriginal and Torres Strait Islander people, January 26 is known as Invasion Day, or Survival Day: a day in 1788 in which the country was declared a British colony, and that marked the beginning of more than 200 years of oppression of First Nations people. This year, Malthouse Theatre will host the Reconciliation Comedy Gala to raise money for the City of Yarra's Stolen Generations Marker Project; a campaign that will see a monument built to honour the struggle and the resilience of the Stolen Generations and the families and communities impacted by this dark chapter in Australia's history. Your ticket will contribute to this project, and get you over three hours of laughs from some of the country's best Indigenous and non-Indigenous comedians. 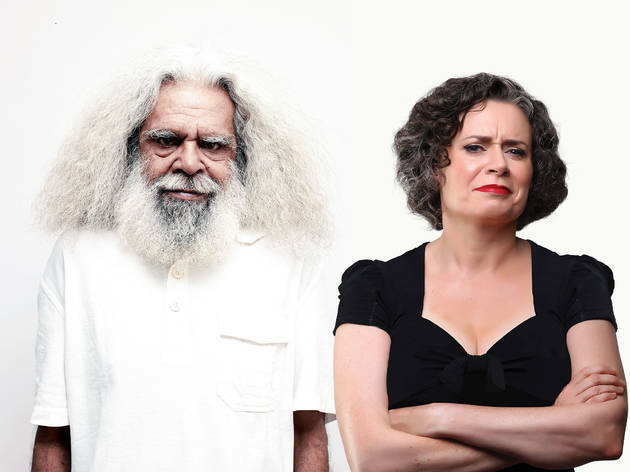 Your MCs for the afternoon will be Aboriginal elder, actor and musician Uncle Jack Charles and comedian Judith Lucy. They'll be joined by Wil Anderson, Tom Ballard, Hannah Gadsby, Shiralee Hood, Kevin Kropinyeri, the Koori Youth Will Shake Spears and lots more. For the full comedy line-up, visit the website. Make sure you arrive early for free access to ACCA's incredible Sovereignty exhibition next door, which showcases the work of contemporary First Nations artists as well as historical works.